Private foundations have been the dynamo of social change since their invention at the beginning of the last century. Yet just over 10 percent of the public knows they even exist; and for those who are aware of them, as well as even those who seek grants from them, their internal workings remain a complete mystery. 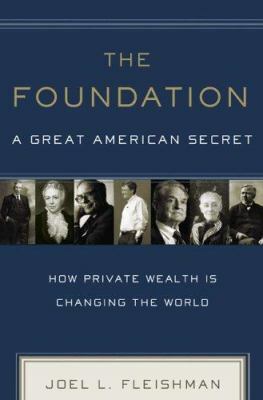 Joel Fleishman knows the sector like few others, and in this groundbreaking book he explains both the history of foundations—with their fledgling beginnings in the era of the robber barons seeking social respectability—through to the present day. This book shows how, why foundations matters, and how the future of foundations can provide a vital spur to the engine of the American, and the world’s, economy—if they are properly established and run. This entry was posted in Books and tagged joel l. fleishman, philanthropy, private foundations. Bookmark the permalink.